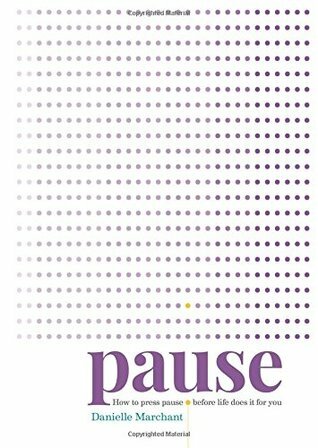 Pause: How to press pause before life does it for you by Danielle Marchant ($19.99), published by Hachette Australia. This book is probably the best A$19.99 you will spend this year; so many useful, simple exercises for relaxation and meditation, for re centering and pauses – big and small. If you do nothing else – concentrate on your breathing – deep breathing is so good for the whole body and you can practice this anywhere any time of the day. (with your food, sleep, work and so on); another is learning to manage your mind. A long time ago, I was taught, “You have a mind but you are not your mind.” In the same way as you have an arm but you don’t let your arm rule the show, why would you allow your mind to take over? after an intense day they lie in bed exhausted, but unable to sleep. The more stress builds within us, the less easy it is for us to flow in our lives. One tool that helps deal with everyday stress and allows you to begin to manage your mind to bring it back into harmony is meditation. I meet a lot of people in my coaching practice who tell me that they have tried mediation, but found it too difficult and have given up. The trouble is, when they sit down to meditate they can hear their busy minds racing, and they think they are meditating incorrectly. In truth, sitting down to meditate will make you conscious of what is already present, and if for you that’s a racing mind and anxiety, then that is what you will experience. This doesn’t mean you are not doing it right; it simply means that this is what your inner world feels like at this moment in time (and perhaps beyond this moment). The art of meditation is to sit with the experience you are having, whatever it is, without trying to change it, judge it or fix it. Your “job” in meditation is to stay seated and simply pay attention to your breathing, while your mind chatters and your feelings come to the surface. If that feels too difficult for you at this time, you might like to try this lovely Bee Meditation (see page 74), which I describe as a meditation for people who can’t meditate. I find it works well when you have a busy mind, because the sound you make is a distraction, and the mind loves a distraction! It works by blocking out the senses of sight and sound, and creating an internal vibration by humming. The hum makes a sound like a bee buzzing, hence the name. Prepare yourself by finding a place you can be alone for a few minutes. Sit in a comfortable position, with your back straight. When you are ready, close your eyes, put your thumbs in your ears and gently cover your eyes with your forefingers (the idea is to block out the senses of sight and sound for a moment). Inhale, and on the exhale make a humming sound. Repeat the inhale and hum for ten breaths. When you have completed your ten breaths, keep your eyes closed, rub your hands together to generate some heat and place your hands over your face. Gently open your eyes and remove your hands. Removing all alerts from your phone. Deleting social media apps from your phone. If you’re feeling bold, you can also turn email off on your phone – you will survive, I promise! Eating less sugar, gluten and dairy. Increasing your daily intake of water. Cutting out caffeine (remember it’s hidden in some fizzy drinks and is also in chocolate). Journaling daily, even if it’s just a paragraph. Writing down the dreams you have at night can have a very powerful effect. Working closely with a good coach, therapist or body worker. Regularly spending time in Nature. I have found deep breathing to be particularly useful practice whenever I am feeling tense or overwhelmed, or having my blood pressure measured, trying to fall asleep etc I hope it assists you too. This simple breathing exercise is very relaxing for the body and mind, so it is particularly helpful before you go to sleep – you can do it lying down in bed. and exhaling through your mouth, mindful of filling and emptying your lungs fully. Now take a deep inhale through your nose for a count of four. You might create a soft sound as you do so that also helps to soothe and relax you. Hold the breath at the top of the inhale for a count of four, then exhale through your nose for a count of four. On the next breath, inhale for a count of six, hold for a count of six and exhale for a count of six. And the breath after that, inhale, hold and exhale for counts of eight. If you can, try building up to counts of 10 and 12. To complete the exercise, start reducing the count by two for each breath until you finish with a count of four. There are times in our life we we need to pause, to stop for reflection, to work out a new or maybe different path, a time to slow things down and work out what is important. Endless lists, social media updates, work, meetings, deadlines…all a priority – or are they? It is time to pause. I love this feisty little character called Olivia – she is inquisitive, she has imagination and the writer and illustrator, Ian Falconer, has a great sense of humour that is evident throughout the narrative (and the drawings). 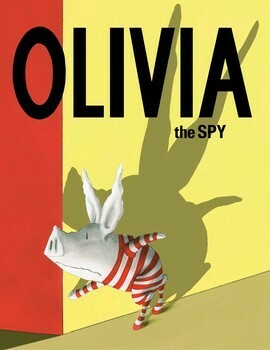 This is part of a number of “Olivia” books – I think young children would enjoy to follow this fun character on her adventures. There is a moral to the story – so this could be a useful tool for school librarians, teachers, budding young artists (the drawings are so much fun) and care givers alike. 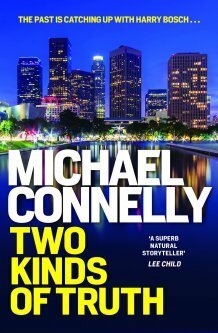 This is a very fun read.